We are a DVLA Licensed Number plate supplier. 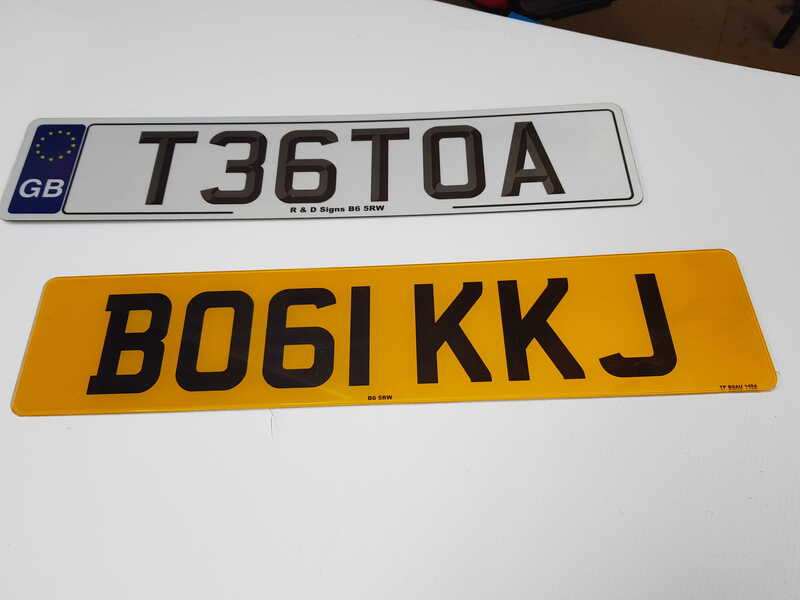 In order to Produce your Legal replacement Number plates all we require is your authority to purchase or .. V5C (logbook) and Proof of current address. It normally takes us 15 minutes while you wait to manufacture your plates. We Can Produce two main styles of text either 3d or solid black as shown below. also you can include a country flag on the left as show below.